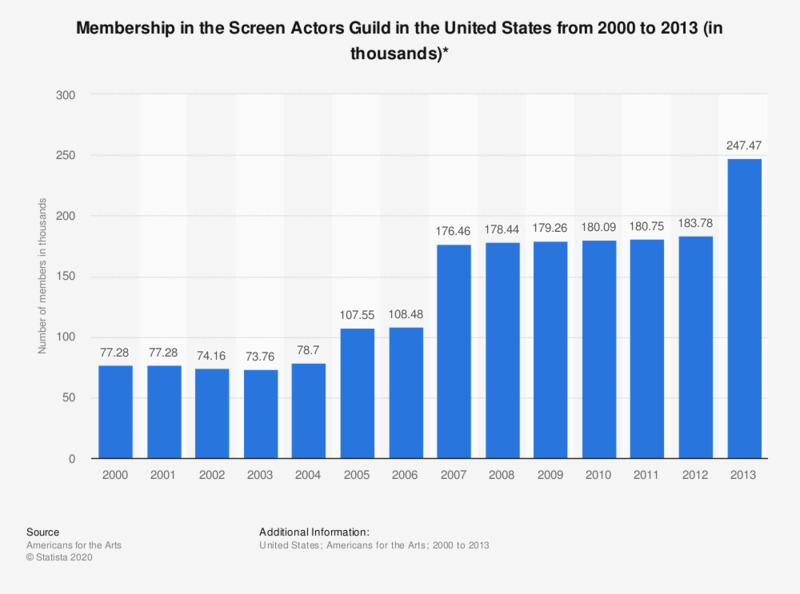 This statistic shows the number of members in the Screen Actors Guild in the United States from 2000 to 2013. In 2013, 247,470 people were members of the union. The Screen Actors Guild is an American labor union representing film and television principal performers and background performers worldwide.